From the kitchen of One Perfect Bite...I've been working my way through a glut of dried coconut for several weeks now. I keep a supply of it on hand to use in the witches brew that becomes our daily bread. Every so often that supply gets out of hand and I scramble to find ways in which it use it. That's how I happened on Bill Granger's recipe for Coconut Bread. I've made this quick bread several times now and have finally come up with an adaption of the bread that my family especially likes. I usually make changes to a base recipe in stages. That allows me to identify what works and what's a waste of time. The changes I've made here are simple, but they do alter the nature of this Jamacian bread and give it and give it a decidedly Hawaiian flair. The type of coconut you use here is less important than properly toasting it. Wonderful instructions for toasting coconut can be found here. I used chopped macadamia nuts in my bread but almonds or pine nuts also work well. Nuff said. Here's the recipe. 1) Heat oven to 350 degrees. Oil and flour an 8 x 4 x 3-inch loaf pan. Set aside. 2) In a small bowl, whisk together eggs, milk and vanilla. 3) In a medium bowl, sift together flour, baking powder and cinnamon. Add sugar, coconut and nuts and stir to mix. Make a well in center of dry ingredients, and pour in egg mixture. Gradually mix with dry ingredients, until just combined. Add melted butter, and stir until smooth. Do not overmix. 4) Pour batter into pan. Bake until a toothpick inserted into center comes out clean, 1 to 1-1/4 hours. Cool in pan 5 minutes, remove bread from pan, and finish cooling on a rack. 5) To serve, cut into 8 to 10 thick slices. If desired, toast lightly, spread with butter, and dust lightly with confectioners' sugar. Yield: 8 to 10 servings. Wow! I have never heard of toasted coconut bread! You are using white flour, so I see it's the cinnamon and toasted coconut that add the golden color, it looks kind of like whole wheat bread, but a prettier shade. I love toasted coconut. I think I will make this tomorrow for a nice "while we are packing snack." You share such great recipes and ever fun stories. Macadamia nuts, coconut, cinnamon..wow...Mary, I love the combination of flavours! GOOD GRIEF, this looks so DELISH and MOIST!!! I'm dying for a bite and a tall glass of cold milk!!!! Beautiful!!! Thanks for sharing! You know that I never saw coconut extract? I'll have to look out for it! This bread looks amazing! Looks yummy! Wouldn't mind a slice of those for tea! Like the fine crumbs of the bread. It looks very nice Mary! I made coconut once before with grated apple and it was a flop. Now I know where to look in the future when I want a yummy coconut bread. I was just looking at a recipe for coconut bread (in the Dairy Hollow House Cookbook) -- I may have to try either your recipe or theirs. Somehow, I see a loaf of coconut bread in the future at Linderhof! I like coconut, this must be tasted delicious. Wow...you loaf looks perfect. I love coconut. It gives such a lovely flavour. Love nuts added to it....makes it healthier :) Hope you have a great day! salivating over it. . looks YUM! coconut bread sounds interesting and it looks perfectly done.. Bread looks stunning and super moist.. The bread looks so moist and delicious! I'm a big fan of Bill Granger's and I love the look of this bread - macadamia nuts and toasted coconut - it has my name all over it. Mary, one of the first things I made when I moved to Florida was coconut bread. There just happened to be a recipe in the Ft. Lauderdale paper and I tried it. I have been making it ever since. Toasted, of course! Even with this lovely recipe, I don't think I would change this old family favorite. There would be an uprising! It's almost like you made this bread for me. I'm a huge fan of coconut... I can't wait to make it! With the mac nuts, this really DOES have Hawaiian flair! I would love to eat it while daydreaming about being on vacation...because that's as close to Hawaii as I'm going to get, at least in the near future. Must be so fragrant when baking this! ooh this looks so delicious! I've said a thousand times that I don't like coconut, but it's really just the texture of coconut that I don't like...but in a bread, like this, I just know it would be wonderful! The flavor must be devine! I love coconut so this recipe has my name on it. And the macadamias are a wonderful addition. Bookmarked! Hi Mary, you always making delicious food! 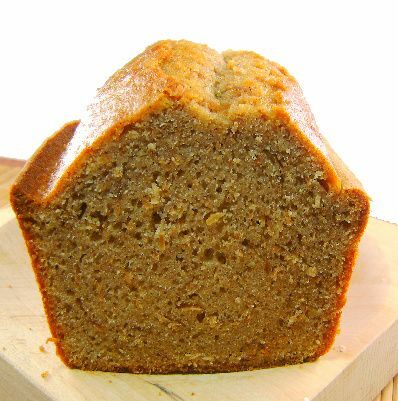 Oooo..I m always on a look out for coconut recipes given the fact that my husband is a coconut freak:) Love the look of your bread with cinnamon & macadamia! it cant get better! will try it for sure & let u know! Ooo... toasted coconut and macadamia nuts - I'm in! PS - lovely rise on that loaf. un augurio che questo fine settimana sia fatto di una buona cucina !!! What a beautiful loaf! Is the coconut you used unsweetened? I love tropical quick breads, so I imagine that this would be a favorite. Thank you for sharing! I bet this is wonderul, the texture looks really good. I wish i could eat the entire loaf :) Coconut bread is so gorgeous ,like to try it sometime soon. Great recipe, Mary! I just made the best zucchini bread with coconut... I bet this will be fabulous! Your bread looks the perfect texture and doneness - so moist! I always have trouble with loaf breads - burnt on top and not done enough in the middle... I love the Hawaiian flair of the macadamias with the toasted coconut. This is just to die for coconut bread. Sure I will have some with butter please! There is something quite special about toasted coconut.. the bread sounds terrific! My family loves coconut, so I know they will love this bread! Looks so moist and delicious and I love the addition of Macadamia nuts, too. Thanks for the great recipe! Oh Mary, I can just taste the greatness of this bread! The toasted coconut must add a special something and give it an exceptional chew. Yum! Toasted with butter, yes definitely!